Architectural Hub from Somerset West, Cape Town is in charge of today’s homify 360° discovery: the complete renovation of an existing home into a luxury four-bedroom residence. So what was included in this renovation? 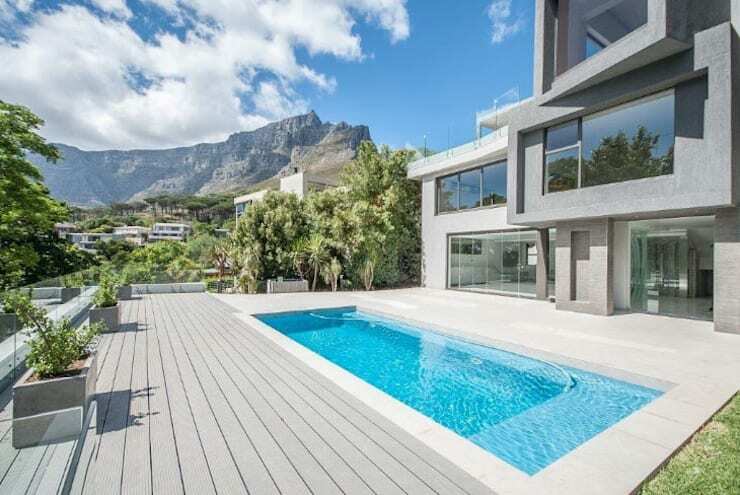 Well, amongst other things, the creation of private and public spaces that provide sublime views to the city, as well as that breathtaking view of Table Mountain. It is like looking at a structure from the future – how often do we get to feast our eyes on such striking glass-clad designs? 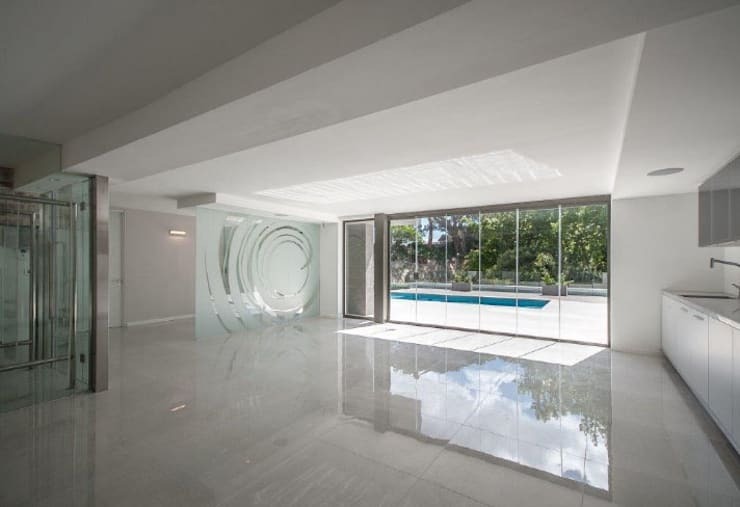 Combined with the concrete and sleek neutral palette of the house, the results are simply mesmerising. And speaking of mesmerising, how perfect is the inclusion of Table Mountain in the background? So perfect, in fact, that it was decided the backyard entertaining area (i.e. the swimming pool and spacious deck) also had to partake in that fabulous view! As far as location goes, this house/pool party definitely has us floored! But of course the interior spaces of the house are also quite brag-worthy – just look at this spacious open-plan layout where one can adequately fit in ample furniture and décor items (not to mention mingling guests) while still enjoying a prime link with the beautiful outdoors. 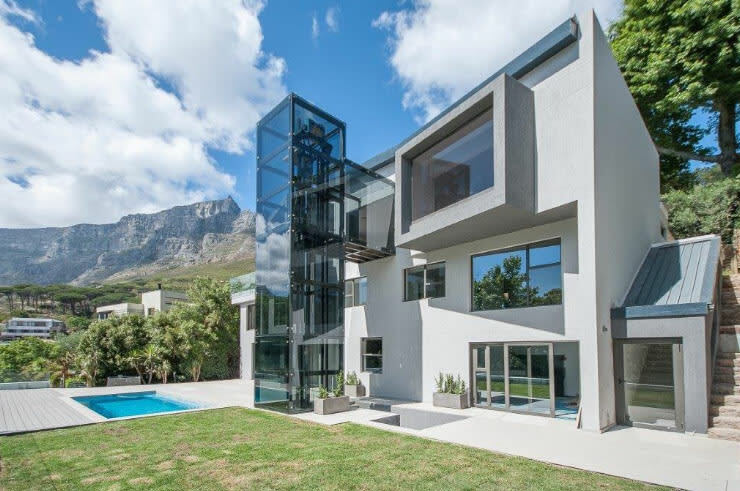 Nobody wants to live in a house where the interior style looks neglected compared to the outdoors (especially not where views of Table Mountain are included). 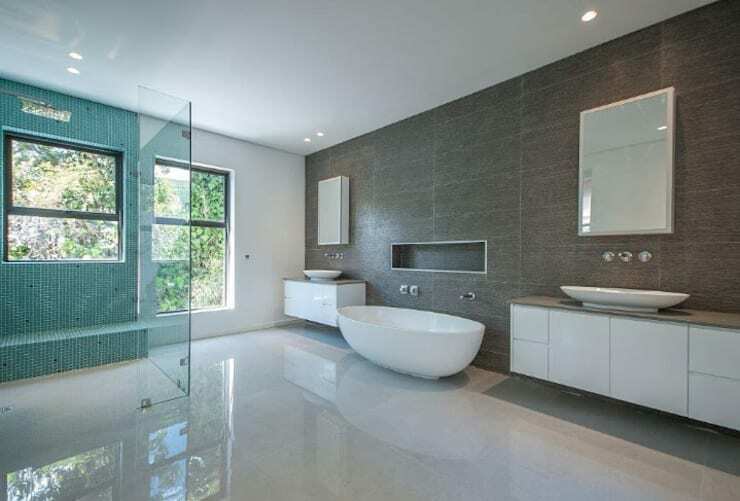 Fortunately, this modern bathroom has nothing to fear, for we are positively filled with inspiration (and envy) by just looking at this image! A free-standing tub that provides prime views of the fabulous outdoors; lots of sunshine filtering indoors; a touch of pattern and colour adorning the shower space; ample legroom that is sure to put an end to rushed bathroom routines… what is not to love in here? Now for something much smaller, yet equally enticing – check out The small and stylish little Muji holiday house.